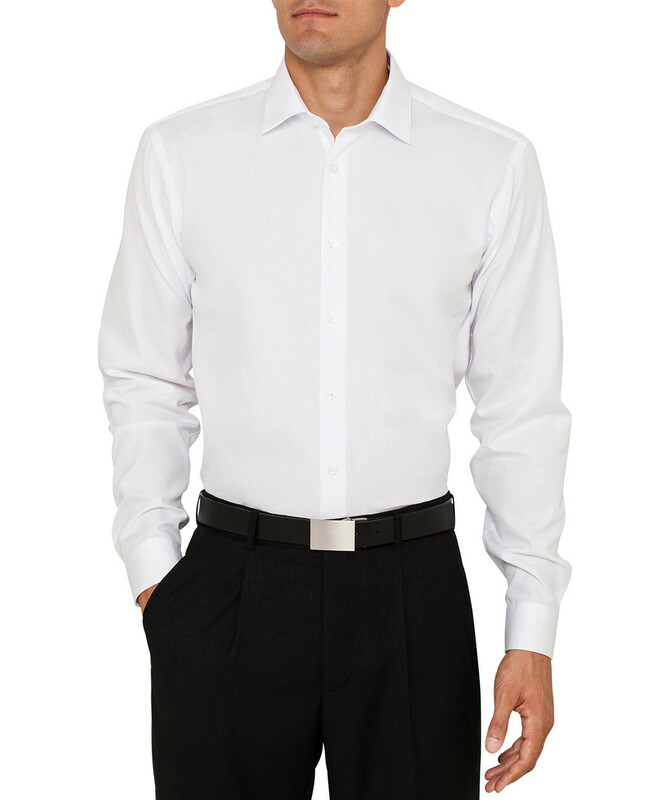 When it comes to choosing a business shirt, lets face it, most men are completely in the dark. It can be an especially daunting task for big men to find clothing which offers the kind of sophisticated style required by today’s busy professional. Ron Bennett Big Men’s Clothing understands this, which is why we have decided to outline some key points to look for when purchasing your next all-occasion business shirt. Possibly the most important factor in the composition of any business shirt will come down to the fabric, as this will define the overall breath-ability, durability, resistance to stain and general comfort level of the wearer. Cotton is probably your best choice when it comes to business shirts due to its naturally long fibres allowing for a finer, softer weave without compromising strength and durability. A good quality fabric should feel soft, supple and hang on your frame perfectly. It is vital for the item to feel good on, as anything that is too tight which stretch across the body in an unflattering manner. We would recommend building your man-drobe on a base of solid colour dress shirts, as their classic nature will ensure they stand the test of time in the style stakes. This will also extend your outfit options, as a simple solid color can be worn with almost any outfit to a range of occasions, making it the best choice if your wardrobe dollars are not limitless. Knowing this, Ron Bennett stocks a huge range of CEO 100% Cotton business shirts, woven in Italy from the finest 100’s two ply cotton for your comfort. Creating a luxurious super fine crisp cotton shirt to be worn with a suit and tie, or why not wear it on its own with a pair of cotton pants and a sport coat for a relaxed yet sophisticated evening out. Much like a suit, getting the correct fit for a business shirt is essential. For the big and tall men, finding a shirt which is the appropriate sleeve length, and collar size are often trials in themselves, as many of the off-the-rack clothing stores use a “standard sizing” which is not inclusive of today’s modern mans needs. However, getting the right fit can be easy. If you have a special occasion on the horizon which requires that extra special touch, why not have your item Custom Made? Bespoke Business Shirts are made to your exact body measurements allowing you to choose the style, cut and design of your item. Have a perfectly fitted, one-of-a-kind garment, designed by you, just for you with Ron Bennett‘s recently launched Made to Measure service (Sew253) which allow the big and tall man to have any outfit tailored for any occasion. As the proverbial workhorses of the average business shirt, the cuffs and collars see their fair share of wear, taking a lot of the shirt’s buttoning load and movement stress. 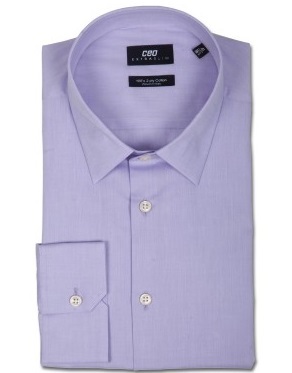 Therefore, finding items with thicker fused cuffs and collars will ensure longer-lasting wear and extra durability. Removable plastic or metal collar stays are also a huge plus as they help maintain collar stiffness and can be taken out for easy washing and ironing of the shirt. All else fails, you can always find a use for a trusty business shirt, be it impressing in a meeting to re-enacting scenes from the Tom Cruise classic, Risky Business. Inspiration below!